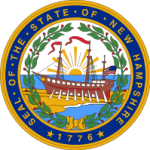 With help from the department of health and human services division of child support services in New Hampshire, guardians can make their queries to be heard. It is not easy convince a noncustodial parent to start making payments for the support of their children. With that said, it is better to seek legal assistance from a child support agency as it will help enforce child support with ease. In case of nonpayment, you can file a request with the department. Step 2: Fill in the fields with the required details and send it to obtain an application form. Step 3: Once you receive the application form, fill it and send it to one of the offices below.